Hi all, I'm working on a little project and hit a bit of a roadblock. Since I'm using robotc I decided to ask around for help over here. Basically I'm trying to control a Lego Technic 9398 with a NXT brick I mounted in the back. It comes with 3 motors: 2 power functions 88003 M-motors, and 1 88004 servo motor. 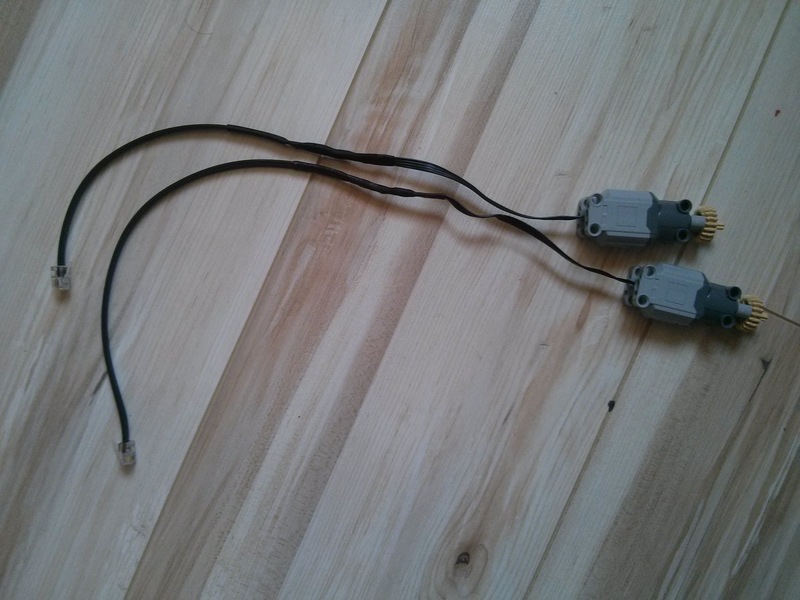 I have a bunch of excess NXT cables, so I went ahead and cut a couple of those in half, and chopped the ends off of the power functions motors' cables. 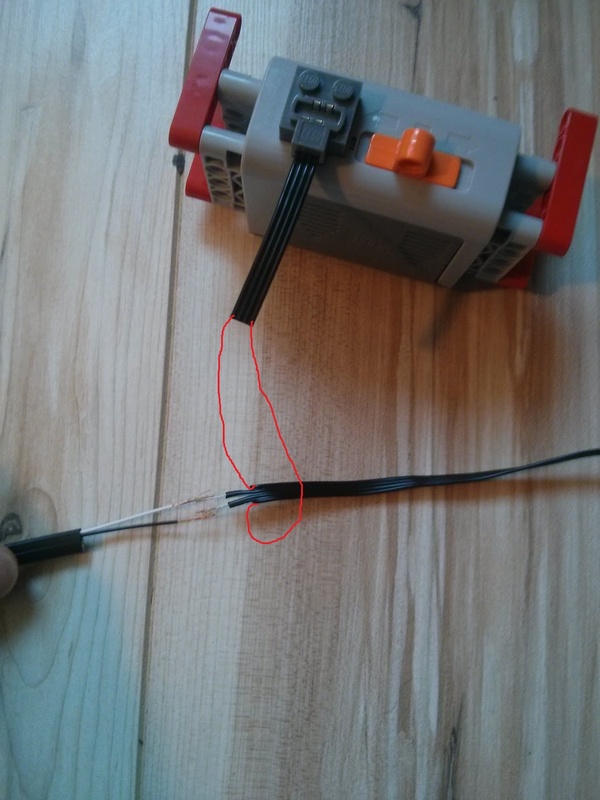 Attaching the DC motors to the nxt cable was easy, I simply soldered the C1 and C2 wires (on the powerfunctions end) to the white and black NXT wires, and covered it all with heat shrink tubing. They both work perfectly. The servo motor however, is trickier. According to this, the C1 and C2 wires control the position, and the two outer ones (9V and 0V) supply power. So, my question is, could I do this in order to have the NXT brick control the servomotor? EDIT: Spoilers don't work here..?